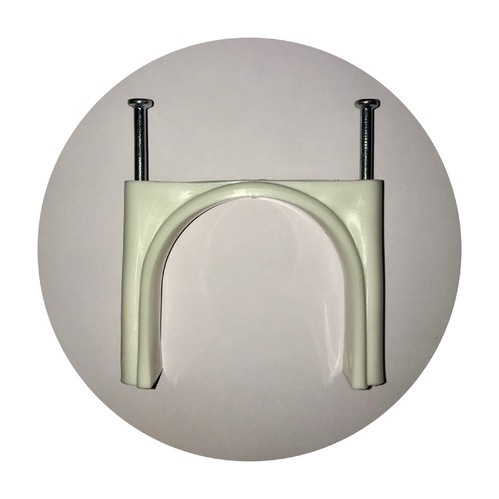 Having a definite quality management system, we are immersed in bringing forth a top class consignment of UPVC Pipe Fitting Clamp. We Hindustan Tech, from 2014, are serving our customers by manufacturing and trading a high-quality Nail Clip and Wall Plug. All offered products are designed as per the set quality norms using high-grade raw material and latest technology. This product range is highly required for their features like hassle-free performance, durability, efficiency, strong construction and low maintenance. The asset of our company is young and talented engineers who have the good theoretical knowledge and sound practical experience. Since the incorporation of our firm, we have built the strong and well-equipped infrastructure at our organization. Our infrastructural facility is properly segregated into enormous sections for the hassle-free production process. Further, we organize training sessions for our engineers to handle new technology that is used in production processes. We are able to deliver smart and plastic card on time at client’s end with a wide distribution network. In addition to this, we have a long list of clients.